This weekend some of our RQYS sailors headed down to Gosford for the NSW state titles. 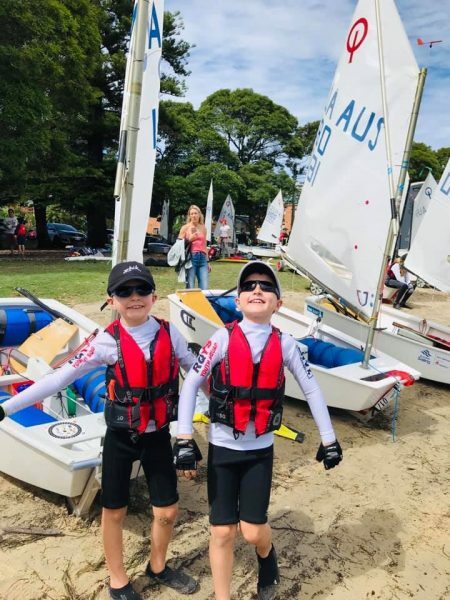 For my brother and I this was our 1st major regatta and we enjoyed spending time with more experienced sailors both from RQYS and other clubs. Gosford was a great location to sail. In total across open, intermediate and green fleet there was 139 competitors. The conditions were very windy and shifty but our sailors did the club proud with some great results. Josh and I enjoyed every race and wanted it to go on all week even though Josh ended up with a boat full of water more then once!